Yesterday, a gambling impact study was released by the Florida legislature as part of an ongoing look at new possible laws. The study was conducted by Spectrum Gaming Group, and will be followed by the release of additional information in October. 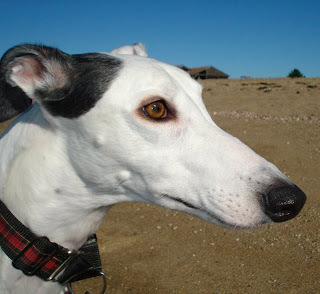 In part, the study examined the economic viability of greyhound racing in Florida. Although it is common knowledge that dog racing is a dying industry, these new findings give the clearest picture yet of how dire the situation has become for greyhound race promoters. The report first addresses the decline of greyhound racing by pointing out that between 1990 and 2012, the total amount gambled at Florida dog tracks declined by 67%. Similarly, between 1985 and 2012, state revenue from greyhound racing dropped by a staggering 99%. "It is clear that pari-mutuel operations at greyhound tracks are loss leaders as the tracks sustained a combined operating loss from wagering on greyhounds of $35 million. Only three tracks made a profit." I couldn't have said it better myself. Florida's greyhound tracks have already become profitable poker rooms that happen to have dogs running around in circles while no on watches. The only question left is how many dogs must suffer before lawmakers change this flawed policy. I won't be happy until there are NO dog races anywhere in the world. If people want to run around a track and risk injury and have people be on them, fine. That is their free will. The dogs aren't given a choice.